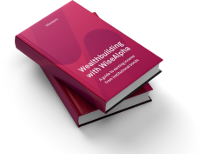 Get your guide to wealth building with WiseAlpha here. Keep updated by email on new investments and WiseAlpha product news. Great choice! If it gets to much you can always change your mind by going to your preferences and unsubscribing. We're sorry to see you go. You can always change your mind by going to your preferences and re-subscribing. Deutsche Bank AG is the largest German Banking institution in the world and the 15th largest bank in the world by total assets. The bank is operational in 58 countries with a large presence in Europe, the Americas and Asia. Deutsche Bank is a universal bank resting on three pillars – the Private & Commercial Bank, the Corporate & Investment Bank (CIB) and Asset Management (DWS). Deutsche Bank’s investment banking operations lie within the ‘Bulge Bracket’, commanding substantial regional deal flow, and maintaining a variety of "sell side" and "buy side" departments. Deutsche Bank is a component of the DAX stock market index. To see the rest of Deutsche Bank’s information, join now. Capital at risk. No FSCS cover. See Risk Statement. Please note as a WiseAlpha member you are not lending directly to the corporate borrower. Instead, you are investing in a Participation Note, or “Note”, which corresponds and is backed by a specific bond investment made through the WiseAlpha platform reflecting the key economic terms of the investment. WiseAlpha Technologies Limited (FRN: 751087) is authorised and regulated by the Financial Conduct Authority in the UK. WiseAlpha Technologies Limited is a company registered in England, with its registered office at Level 39, One Canada Square, Canary Wharf, London E14 5AB (Company No. 08967521).